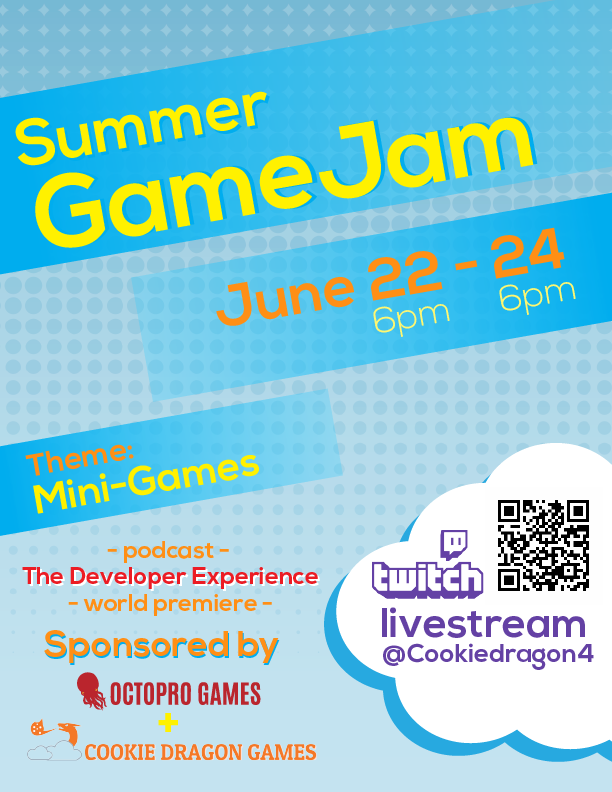 We are participating/hosting a game jam! Come check us out on twitch while we stream our efforts. It should be an interesting thing to watch with us trying to make a game in 48 hours. There will be some steam key giveaways for viewers. It will be streamed on the Twitch channel.